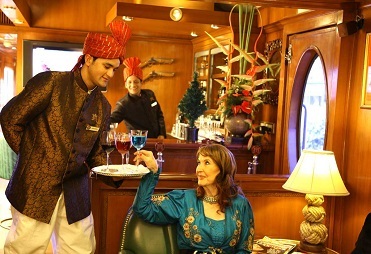 Arrive Mumbai – On arrival in Mumbai a warm welcome by our staff and transfer to hotel. Mumbai – Morning sightseeing tour of Mumbai. Visit Gateway of India, Gandhi memorial, Marine drive. Also visit gardens like Hanging Garden and Kamla Nehru Garden and Chowpatty which gives you the view of one of the most happening beaches of Mumbai. Overnight at the hotel. Mumbai / Bhuj – Morning transfer to airport to board flight for Bhuj. On arrival transfer to hotel. Afternoon sightseeing tour of Bhuj including Aaina Mahal: Palace of mirrors, Kutch Museum. Also visit palace of Rao pragmalji’s. Overnight at the hotel in Bhuj. Bhuj / Mandvi / Bhuj – Morning drive to Mandvi for day return excursion. Visit various sights in Mandvi including the Royal Vijay Vilas Palace and the Wind Mills on the beach. Overnight at the hotel in Bhuj. Bhuj – Morning depart for a full day visit to the tribal villages of Banni Region where the tribal races like the jats, Harijans, Rabari, Dhaneta live. Overnight at the hotel in Bhuj. Bhuj / Gondal – Morning drive to Gondal, en route visiting Dhamadka. Arriva Gondal and check in at hotel. Later visit Naulakha Palace. Overnight at the hotel in Gondal. Gondal / Sasangir – Morning drive to Sasangir. Arrive Sasangir and check in at hotel. Overnight at the hotel. Sasangir – Morning and afternoon jeep safaris in search of the elusive Lion. Overnight at the hotel in Sasangir. Sasangir / Somnath / Diu – Morning drive to Diu via Somnath. On arrival, check in at hotel. Overnight at the hotel in Diu. Diu – Day free for independent activities. Overnight at the hotel in Diu. Diu / Bhavnagar – Morning drive to Bhavnagar and check in at hotel. Overnight at the hotel in Bhavnagar. Bhavnagar / Palitana / Uteliya – Morning drive to Uteliya visiting Palitana en route. Arrive Uteliya and check in at hotel. Overnight at the hotel. Uteliya / Lothal / Zainabad- Morning drive to Zainabad en route visiting Lothal, part of Indus Valley civilization. Arrive Zainabad and check in at camp. Overnight at the camp. Zainabad / Baroda – Morning drive to Baroda and check in at hotel. 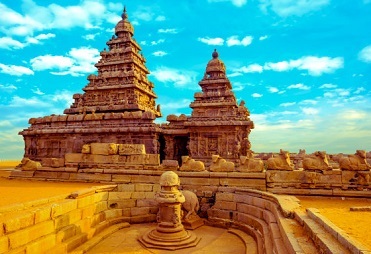 This is a medium sized city with some interesting museums and art galleries and fine park. Overnight at the hotel in Baroda. Baroda / Ahmedabad – Morning drive to Ahemdabad and check in at hotel. Afternoon city tour visiting Jumma Masjid, Sabarmati Ashram. Overnight at the hotel in Ahmedabad. 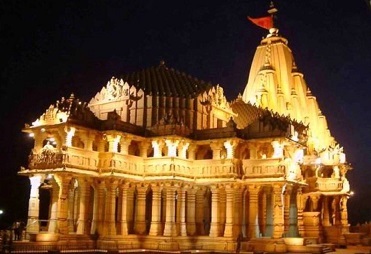 Ahmedabad – Full day excursion to Modhera & Patan. Overnight at the hotel in Ahmedabad. Ahmedabad / Mumbai / Depart – Early Morning: Transfer to railway station to board train to Mumbai. On arrival in Mumbai, transfer to international airport in time to board flight for onward destination.